Supper was ready, but we were not yet ready to eat. We went for a walk to celebrate the last of the light of the almost longest day, then came across the concert on the green, first time I ever went, even though we’ve lived here seventeen years now. 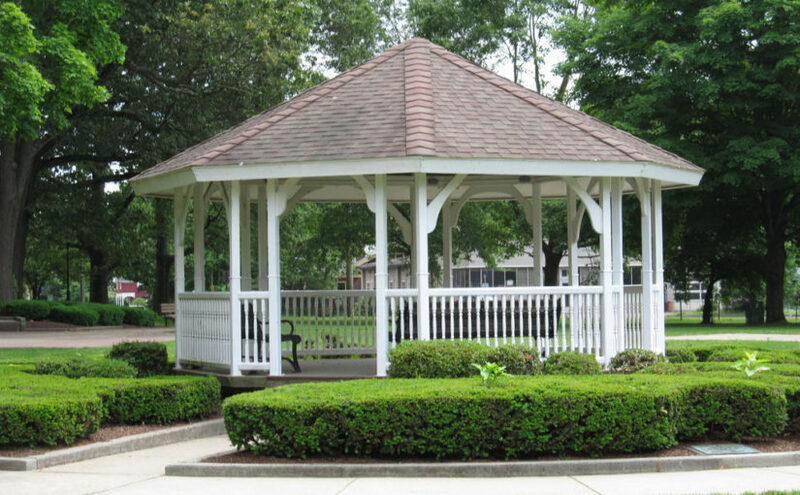 The Frank Porto band was playing in the gazebo, and singing some great numbers — “Close to You,” “Jeremiah Was a Bullfrog,” “Sweet Caroline.” We had been sitting on a bench across the street, and I put my head on his shoulder and sang the lyrics since we were too far for him to hear. Then we crossed the street and were closer for the last few songs, ending with “YMCA,” and it was over and we sauntered toward home talking of everything and nothing. The sun was setting, and people were folding their chairs and rounding up children. As we passed the corner he pointed out the Tree of Heaven and told me its history — tall, distinctive, invasive, pervasive — and we inhaled its scent, and I dropped my head and smiled and he lifted his and did the same, and it was night, and we were almost home.